This table is designed for the HQ Sweet Sixteen machine. 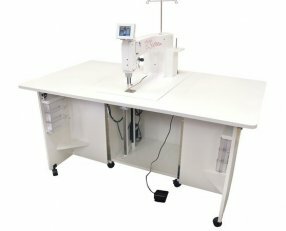 It can also be used with the HQ Sixteen when converting a stand-up model to a sit-down machine. 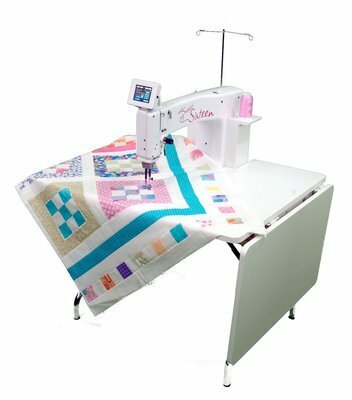 Machine inserts into a bi-level table for a smooth, even quilting surface. Size: 36" wide by 30" deep. Table adjusts from 27" in height to 40". 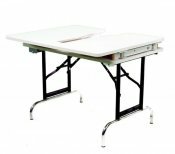 Table extensions (18") are also available. Looking for more storage? Hideaway Table is perfect for your Sweet 16! Click here for details.